Absinthe Pierrot was a popular brand in the great era of Absinthe. A white clown, Pierrot means "clown" in French, was the eyecatching symbol for this brand. 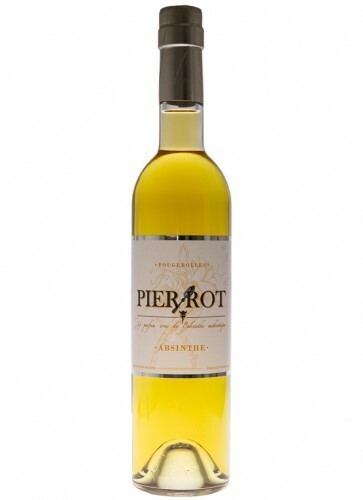 Absinthe Pierrot was initially planned as a niche product, mainly aiming at the Parisian market by surfing on the world of entertainment, circus and the arts. Absinthe Pierrot was a popular brand in the great era of Absinthe. A white clown, Pierrot means "clown" in French, was the eyecatching symbol for this brand. This Absinthe was initially planned as a niche product, mainly aiming at the Parisian market by surfing on the world of entertainment, circus and the arts. But its surprising success favoured its extension to the national market. 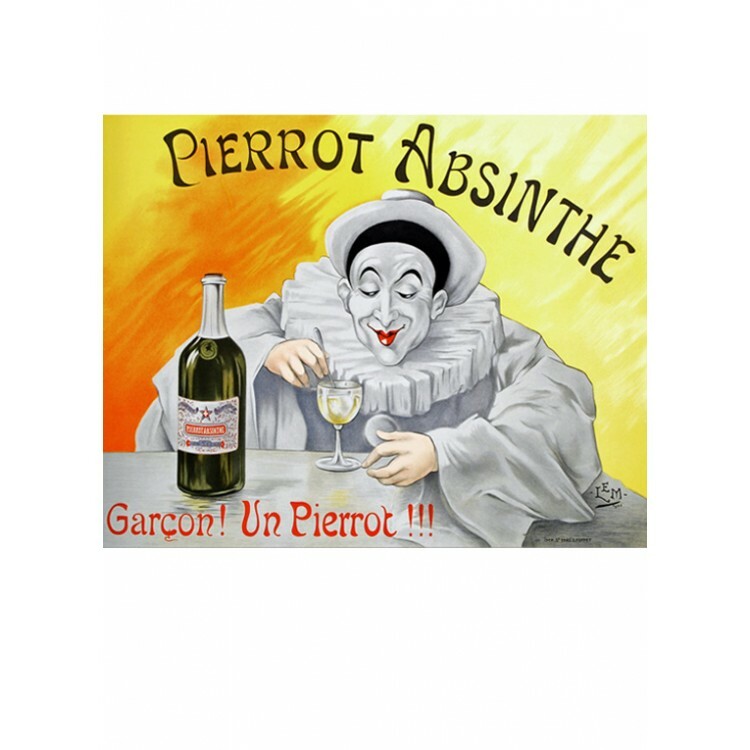 Absinthe Pierrot was introduced to the market in 1906 by the Abel Bresson distillery located in Fougerolles, France. Now, more than 100 years later the Devoille distillery, also located in Fougerolles, has relaunched this historical Absinthe using the original recipe of that time. 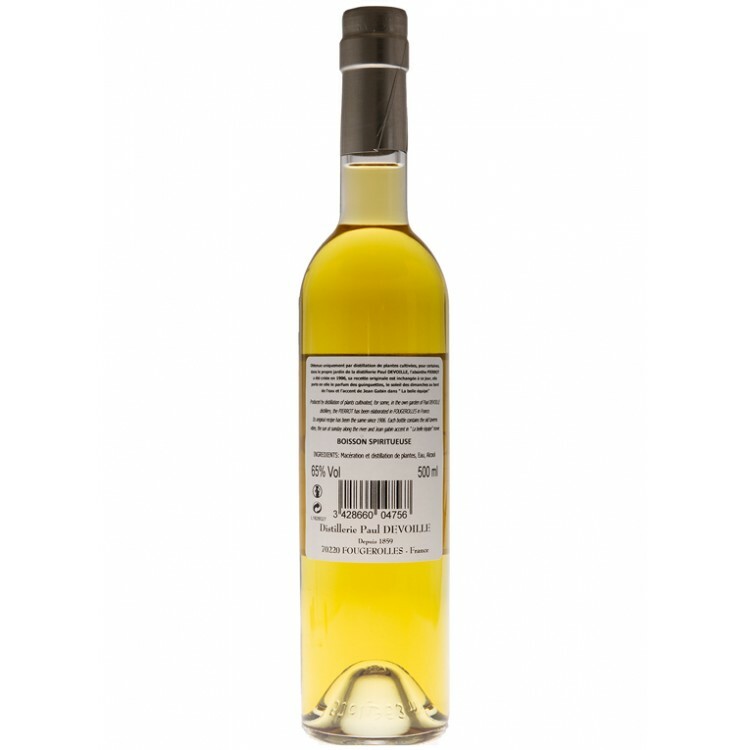 The dominant aniseed is shaken up by the combination of fennel and grand wormwood. All this is boosted by melissa, calamus and coriander, while angelica roots add the finishing touch. Absinthe Pierrot has a totally natural coloring thanks to a predominance of petite wormwood, enhanced by hyssop, melissa and nettle on the finish. Another winner in the line of Paul Devoilles absinthes. This is a faithful reproduction of the old famous 1906 recipe. If you have had Gustave and Gustave FDC, this is the middle child. With added spice! I highly recommend this absinthe. I’ll be ordering again! This is an excellent absinthe. Very herbal and creamy. It's quite a bit like it's cousin Abel Bresson, but a bit sweeter with more anise in the forefront. Give it a try. You'll love it!